Join two of our Ambassadors, Joslyn Henderson and Jonathan Hehn, as they teach a free workshop on church music. The sessions are designed for the students of the Nebraska Wesleyan, however it is free and open to the public. Come sing and learn with us! Jonathan Hehn, OSL, is a musician and liturgist currently serving as Choral Program Director and Organist at the University of Notre Dame. He is a brother in the Order of Saint Luke and holds degrees in music (BM, DM) from the Florida State University and theology (MSM) from the University Notre Dame. Additional time was spent at the Universität Mozarteum in Salzburg, Austria. Jonathan has won prizes in both regional and national competitions in organ performance and remains active as a performer. A scholar in the area of sacred music and liturgy as well, Jonathan has presented at both national and international conferences, and his written work has appeared in The American Organist, The Hymn, These Days, Call to Worship, Doxology, and other print and online periodicals. He currently edits Sacramental Life, a quarterly theological magazine published by the Order of Saint Luke. 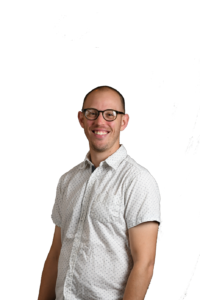 Jonathan resides in South Bend, Indiana with his wife, three children, and dog. A passionate practitioner, writer, and thinker, you can find him on Facebook, Twitter, and Instagram @JonathanHehn. 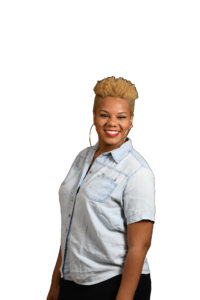 Joslyn Henderson is a full-time graduate student at Truett Seminary and Baylor School of Music, having first earned her Bachelors of Vocal Performance from Spelman College in Atlanta. She is a prolific gospel singer and worship leader and currently serves as the Ministry Associate for Worship & Chapel at Baylor University, as well as the Minister for Worship & the Arts at One Fellowship United Methodist Church. Choral Reading Session – Choristers Guild literature that works well for congregational participation.